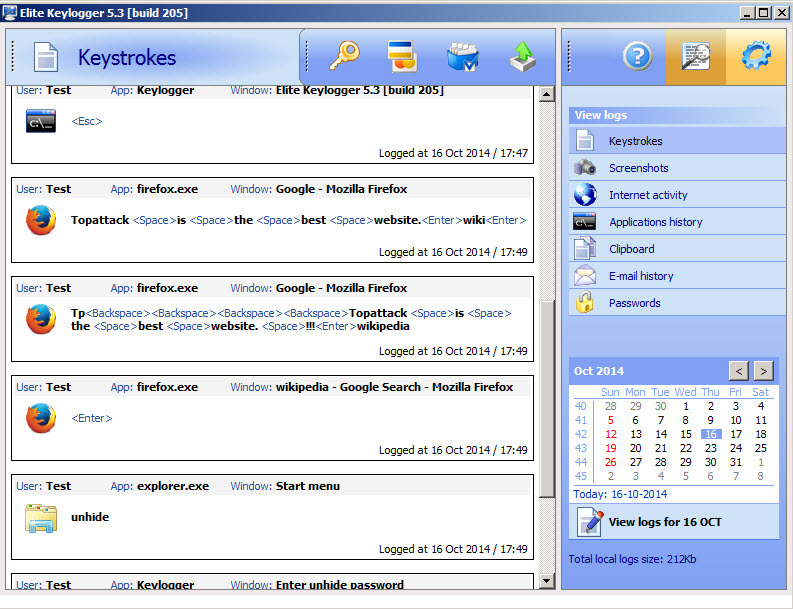 This program is monitoring and captures all keystrokes. Besides that, is able to take screenshots, record applications history, internet activity (websites visited) and clipboard memory. 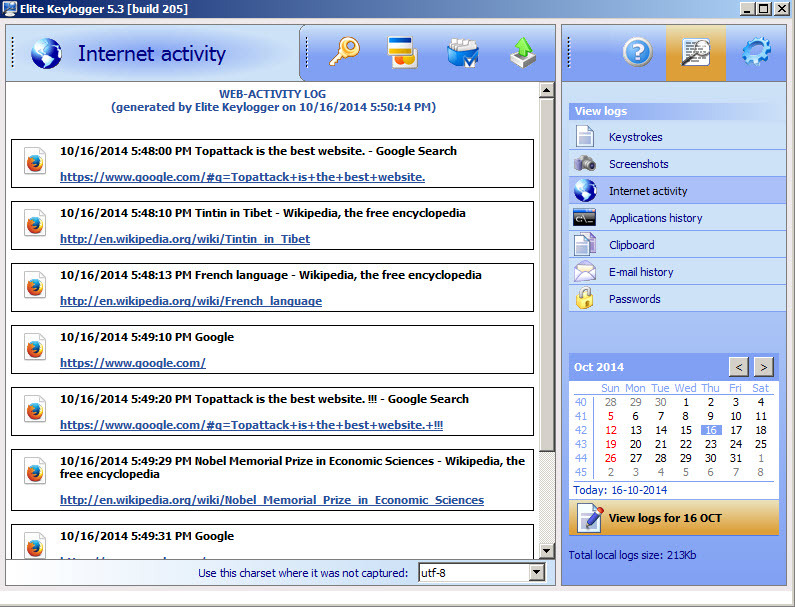 Reports can be generated for desired time interval, sent by email or to a FTP account. The monitoring can be turned on/off anytime from the Settings menu. 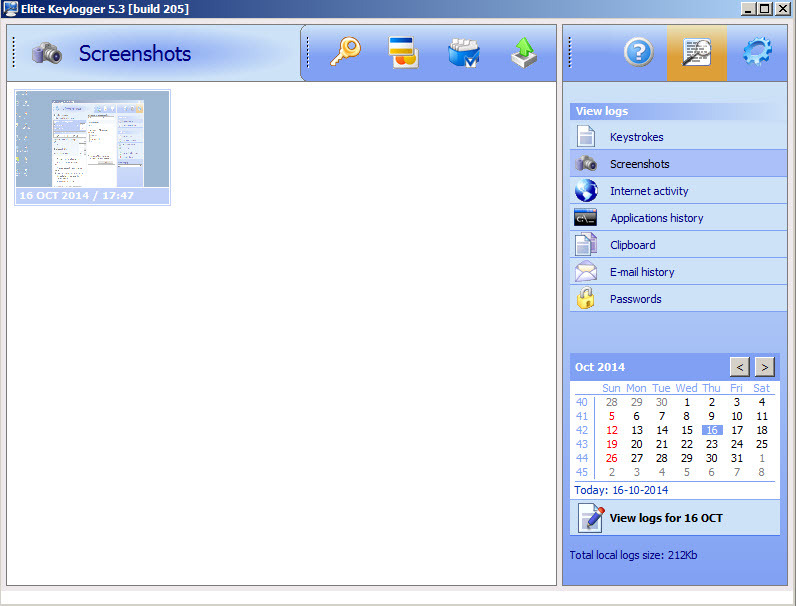 Elite Keylogger can record all keystrokes and save screenshots with the entire screen or only active windows. You can set it to capture or not functional keys (Enter, Space ..), can monitor certain Windows users and certain programs (you can also exclude programs from monitoring). Reports can be sent automatically to an email address, FTP server, local network or copied to USB stick. The program isn't visible in Start Menu, Add/Remove Programs and other locations, but has been detected by our antivirus. You can set the program to perform an automatic uninstall on the remote computer, without your intervention.